SabotageAds - Affiliate CPA network reviews and details. SabotageAds is a mobile marketing online network with the aim of increasing income generating on both incent and non-incent from multiple GE O's. Considered as one of the best online marketing programs, SabotageAds focuses on the exclusive offers and advanced traffic. We are developed to help you to maximize your revenue and potential. 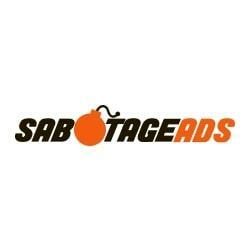 SabotageAds encourages the connection between advertisers and publishers all over the world. SabotageAps provides customers with a large number of traffic sources consisting of affiliation, direct publishers, and media buying. Thanks to these sources, SabotageAps can reach user acquisition and help them to maximize their monetization with great profits. In terms of money, you will be assured to get competitive payouts and choose suitable payment option you want. Besides, we have a team of experts with rich experience who can support you immediately whenever you have problems. You can check SabotageAds reviews and Offers on Affbank and ask SabotageAds Team any question by using the contacts above, especially about how to earn money! I have been with SabotageAds for a long time. And was never disappointed with the support i got from my affiliate manager. So it’s amazing network out there. My traffic is converting here better than with any other network. I'm glad to work with SabotageAds. SabotageAds is one of the most dedicated teams I've worked with. They truly give you every tool you could ever need to succeed. SabotageAds is a real treasure for me in affiliate bussines. The frist thing I love in Sabotage is high payouts. The secod one is on time payments. And the last one is great support. I love the way thy work. And hope won't stop. Great payouts, fantastic support. Just try it!